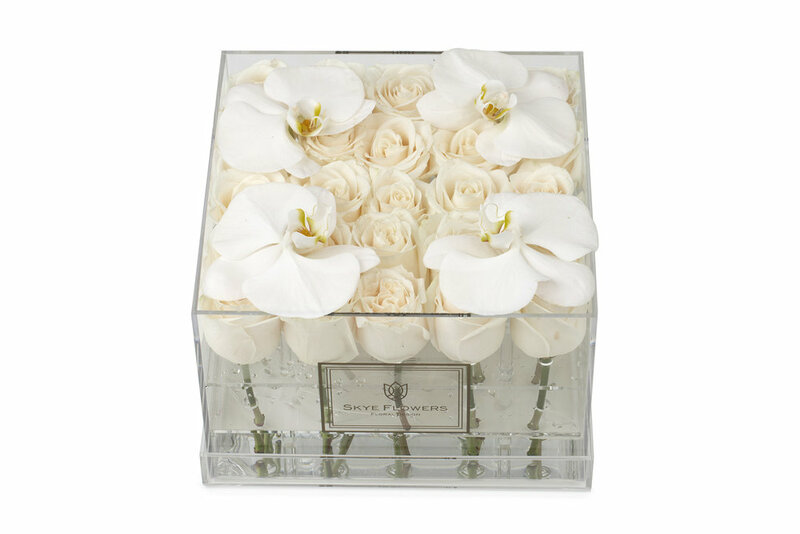 Place orders below for Skye's custom luxury flower boxes, available in three sizes (Square, Round or Rectangle), in a luxury lucite box. 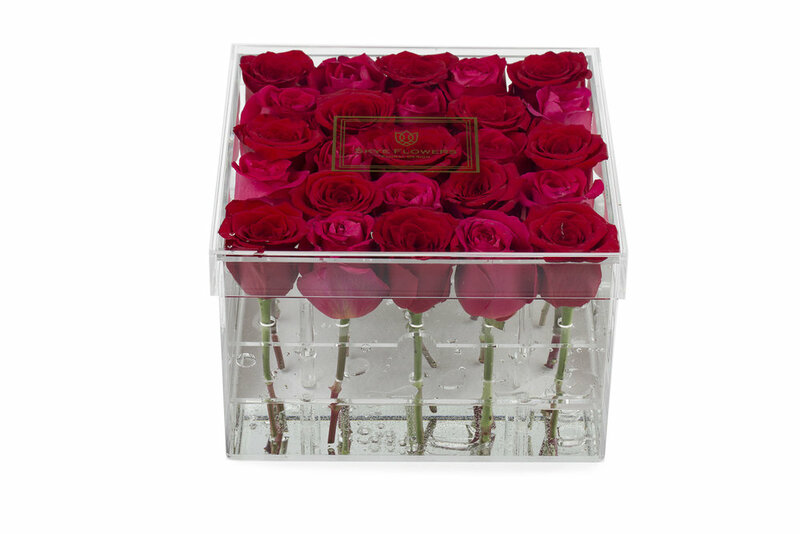 Rose boxes are available in Cream, White, Red or Hot Pink. Custom colour schemes are available upon request, get in touch with Skye directly here. 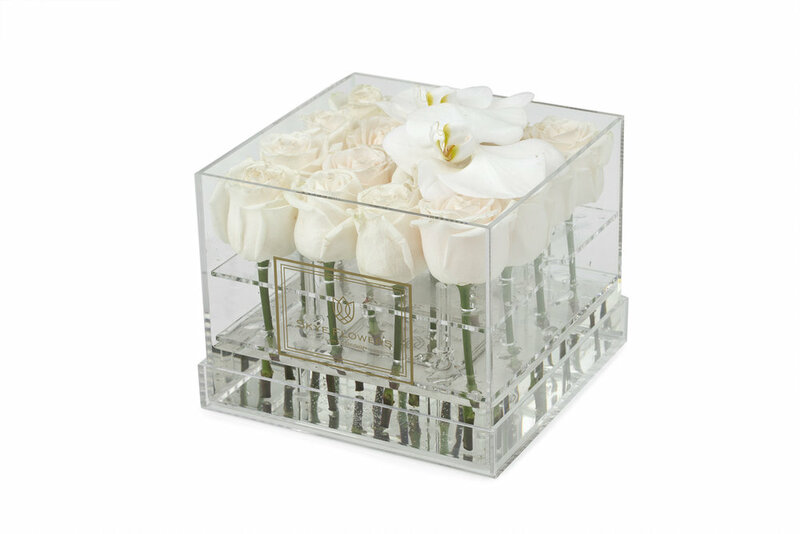 See Flower Box Gallery for inspiration. The hottest colours for your Valentine. Please indicate your desired date of delivery. Orders required minimum 24 hour notice. Please get in touch with Skye directly for rush orders. Delivery is $20 for the GTA. Thank you! Skye will be in touch shortly. Thank you! Skye will get back to you shortly. Thank you! Skye will get back to you within 24 hours of your request. 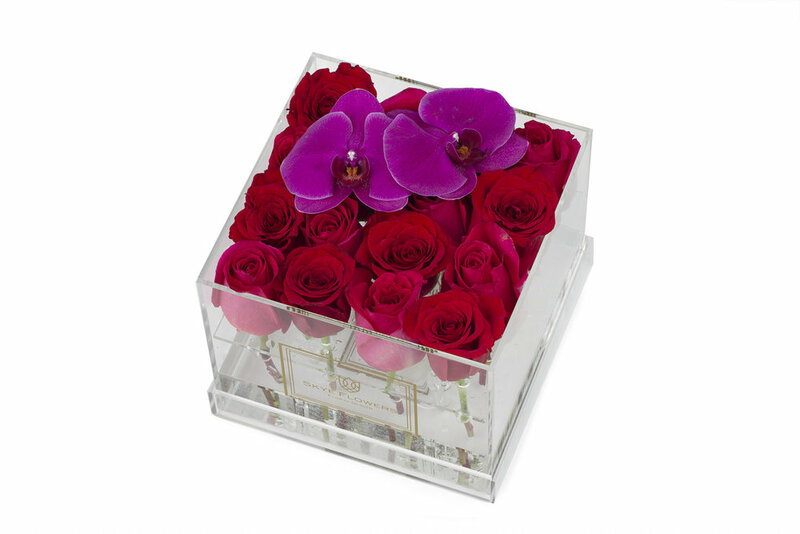 For Red and Pink flower boxes, prices may vary on promotional Holidays including Valentine's Day and Mother's Day.